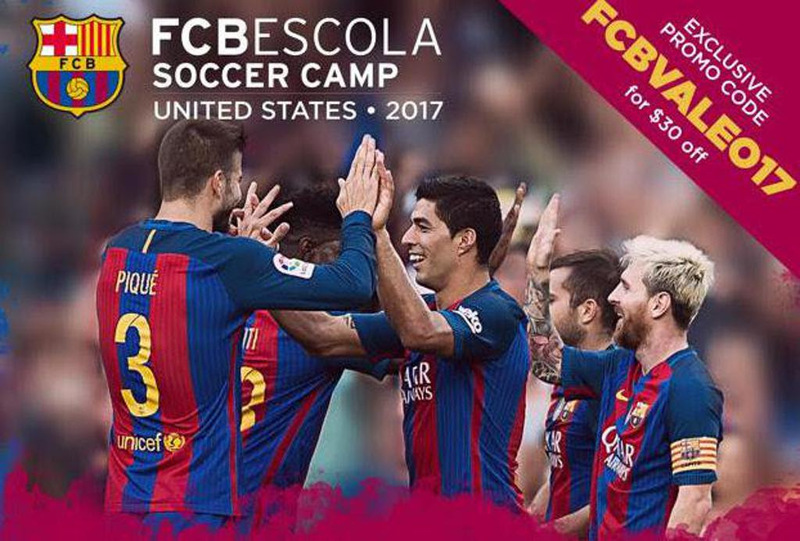 FC Barcelona Soccer Camp is coming to Boston! FC Barcelona is coming to Boston this summer!! Official coaches from FC Barcelona will come exclusively to Boston to conduct all the training sessions, which allows for limited spaces. A group of selected players from the camp will be invited to train in Barcelona at the FC Barcelona Headquarters and meet some of the FCB Players. (Messi, Neymar, and Suarez among them). Register for the FCB Camp and use our promo code: “FCBVALEO17” to enter into the raffle and get $30 off! Only the first 75 players registered will have the chance to participate in the raffle! Deadline to get in the raffle: May 14th, 2017! Do not miss out on this opportunity!! Category: Activities for Kids · Tags: FC Barcelona Soccer Camp is coming to Boston!